As some of you may know, theHeart.org has merged with Medscape Cardiology. This will be my first post on the new site. Dr Donald Low was a prominent Canadian physician. 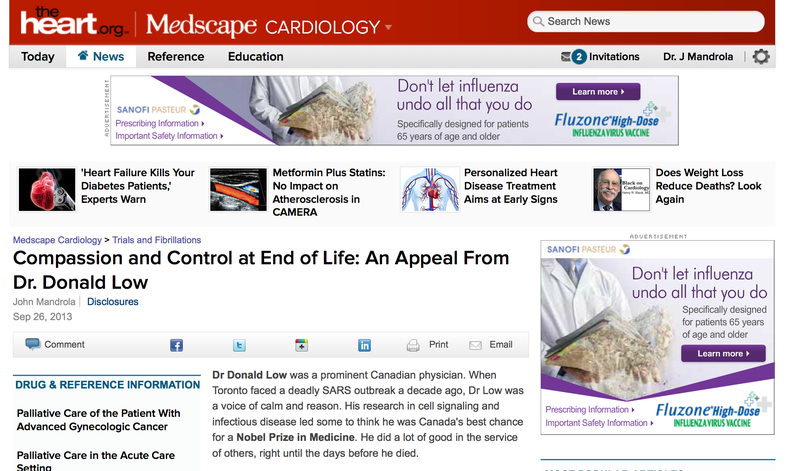 When Toronto faced a deadly SARS outbreak a decade ago, Dr Low was a voice of calm and reason. His research in cell signaling and infectious disease led some to think he was Canada’s best chance for a Nobel Prize in Medicine. He did a lot of good in the service of others, right until the days before he died. Dr. Low recorded a seven-minute video a few days before he died. The hyperlink to the video is included in my post. It’s a stirring video that brought many things to mind. 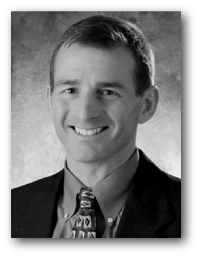 I thought about one of the main goals of an electrophysiologist–prevention of sudden cardiac death. A twinge of anger came to me as well. His appeal for Canada to legalize physician-assisted suicide brought back memories of my response to Dr Paul McHugh’s unenlightened caustic WSJ opinion piece earlier this year. 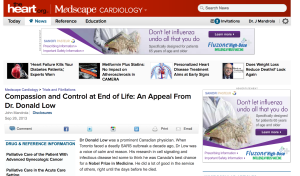 The issue of control features prominently in Dr. Low’s appeal. He worries most about losing control at end of life. This really speaks to me. Patients need to be in control; care must be aligned with their goals. Medical errors came to mind as well. One of the things Dr Low points out is the inability of doctors to relieve his suffering. Why does he think that? Is it perhaps because someone might think opioids were what caused his demise rather than cancer? I talked about the issue of treatment v disease. It’s not often that doctors speak so courageously and candidly. When they do, we can learn a lot. P.S. Medscape Cardiology may require you to register with an email. New post up at theHeart.org — Noticing the burden of our therapy. Truly touching video by Dr. Donald Low shortly before his death. Hard not to completely agree with all that he says. To me – the best set of resources on this subject has been put forth by Dr. Monica Williams-Murphy – an ED physician with compassion who blogs on the subject. 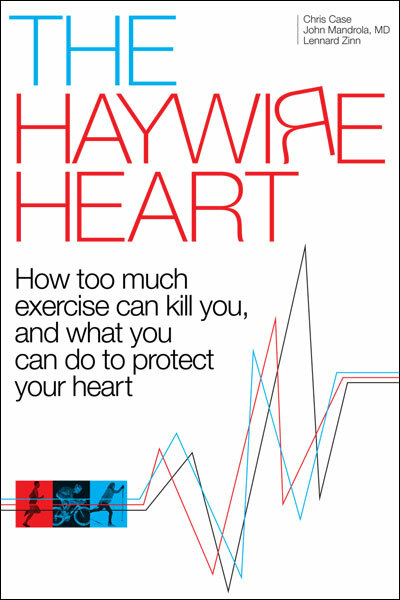 I read her book – and it is an outstanding COMPLETE reference for clinicians, patients and families. This is a link to her blog: http://www.oktodie.com/blog/ – Thank you John for speaking up on this important subject! Medscape seems to be just for doctors. Pity, I enjoyed some of the things on heart.org. I ran into the same thing, but got around it by registering as a ‘consumer’. After watching my mother die for two years from a glioblastoma, and all of the stupid pointless treatment she suffered because my father believed the doctors when they said treatment would help, and then watching my father die from a brain stem stroke, I will take VT any day thank you very much. We should all be issued a way to step off when it’s time. My mother and father in law both received that assistance, and their deaths were so much easier for them, and for us. Good writing, as always.